For a while last year, everyone was raving about the Charley Davidson series by Darynda Jones. 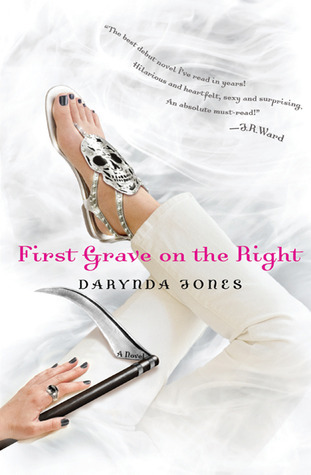 The first book in the series being First Grave on the Right. So I decided that I would reserve it at the library – since I wasn’t sure if I wanted to pay the price for either the hardcover or the kindle versions. Ultimately, I liked it, but didn’t love it, which for me is a 3 star review. It means that I would be curious to see where the series goes in the future, but that I would likely stick to borrowing the books from the library rather than using my limited book budget to buy them. However, it is a series that has grown on me overtime. The third one was by far my favorite so far, and it’ll be interesting to see where she goes with book 4.